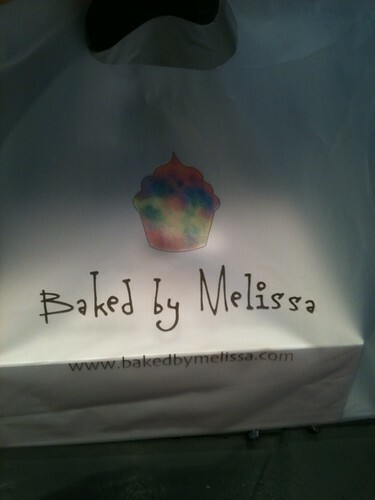 I brought some cupcakes from Baked by Melissa (remember: tomorrow is your last day to get their sundae cupcake, Wednesday will bring a new flavor of the month) to a friend yesterday. 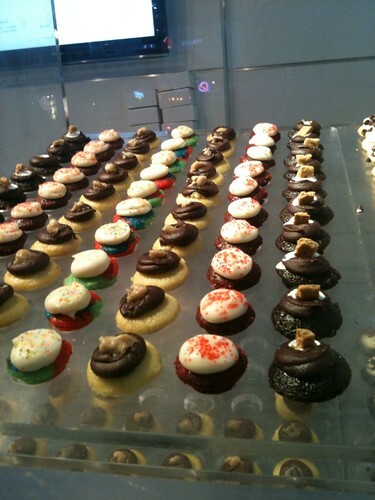 The first few are what the cupcakes look like in the store. 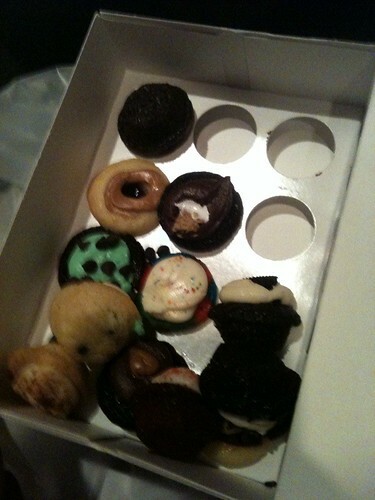 Their box has a slot for each of the 12 cupcakes (I got one of each flavor plus an extra, because I wasn't sure what my friend would like), but when you're swinging the bag and jostling it, the last photo shows what can happen. I take full responsibility, because I was walking all over and taking the subway and wasn't holding them in a way that would protect them. Treat your cupcakes with care! Next time I'll photograph them all nestled in their cute little box so I can show you (and the recipient) what they are supposed to look like. 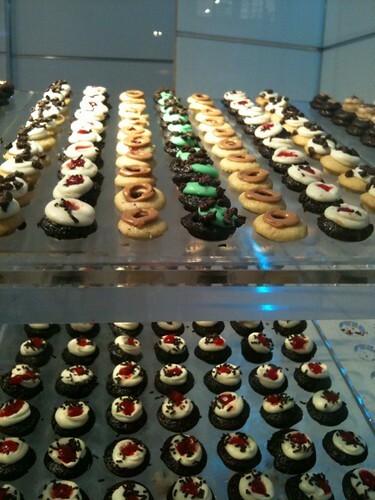 See bakedbymelissa.com for ordering information, including nationwide shipping. 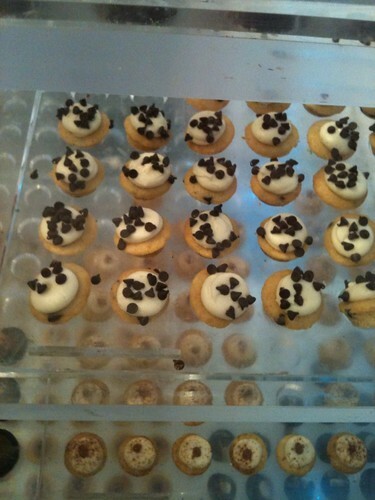 I'm told they were still tasty, even if some of the frostings got mixed together.